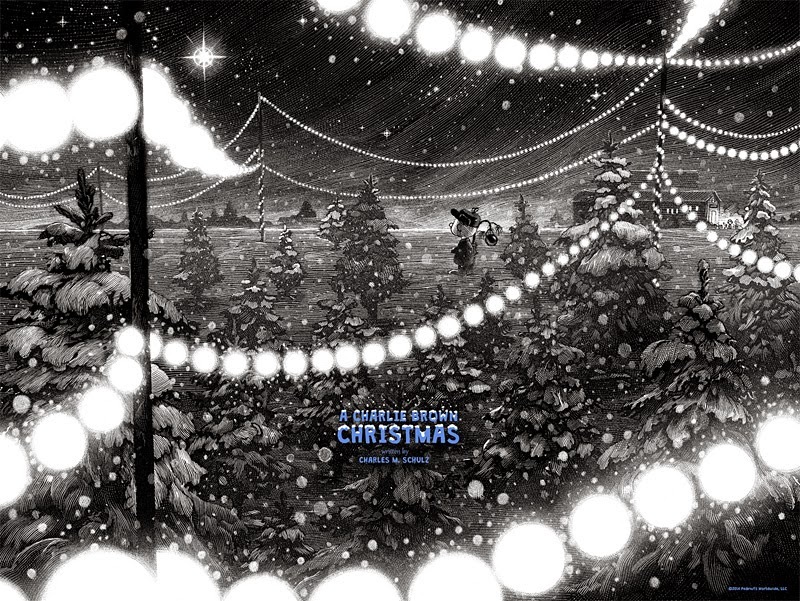 Dark Hall Mansion's yearly tradition of prints celebrating A Charlie Brown Christmas continues this year with a new officially licensed limited edition print by artist Nicolas Delort. 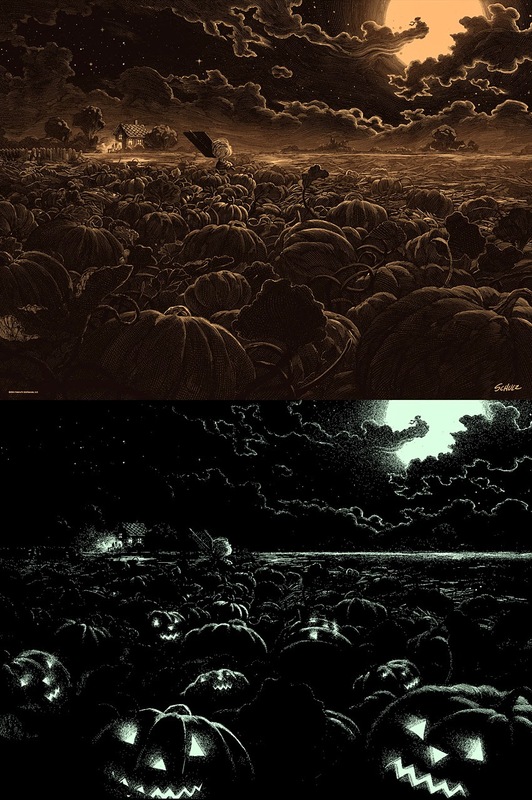 The Christmas print is in the same style as his Great Pumpkin print from last month: an expansive scene centered around the character at the heart of the television special, Charlie Brown, holding his famous little tree as he takes in the wonder of the season, created with fine etching-like strokes. 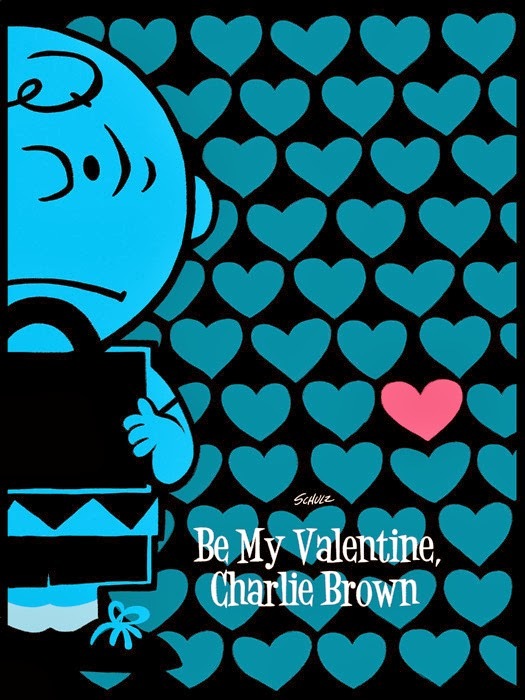 The print is available in three editions: a standard edition in evocative black-and-white; a blue-tinted variant edition; and a very limited foil edition. 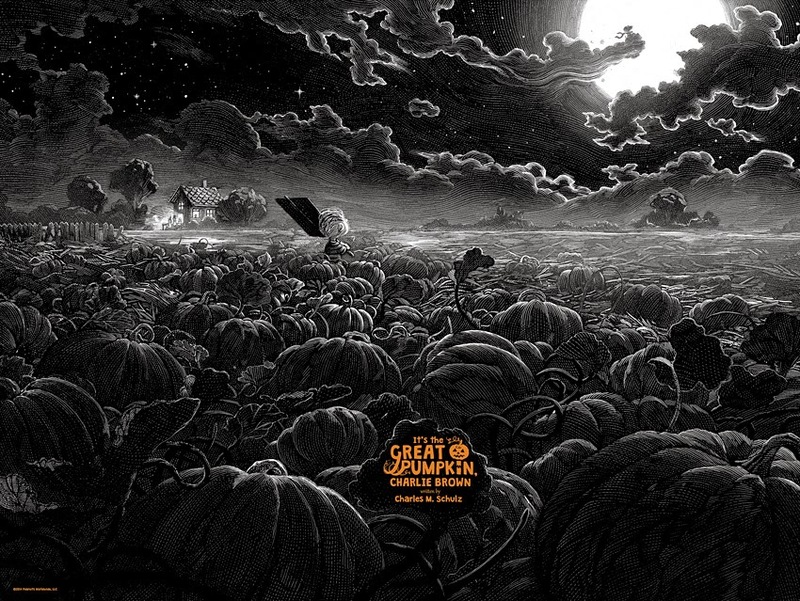 The standard edition will be limited to 375 prints, the variant edition will be limited to 80 prints, and the foil edition limited to just 30 prints. 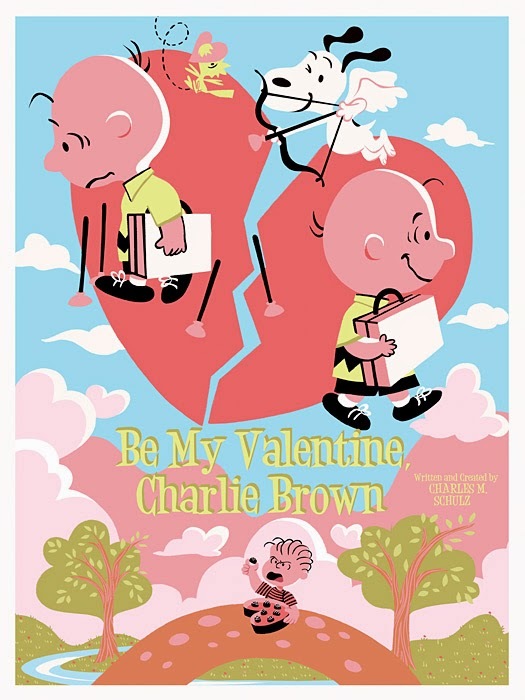 The 2014 A Charlie Brown Christmas prints go on sale Tuesday, November 25, 2014 at a random time between 9:30 AM and 12 noon (Pacific time) at Dark Hall Mansion's webstore. 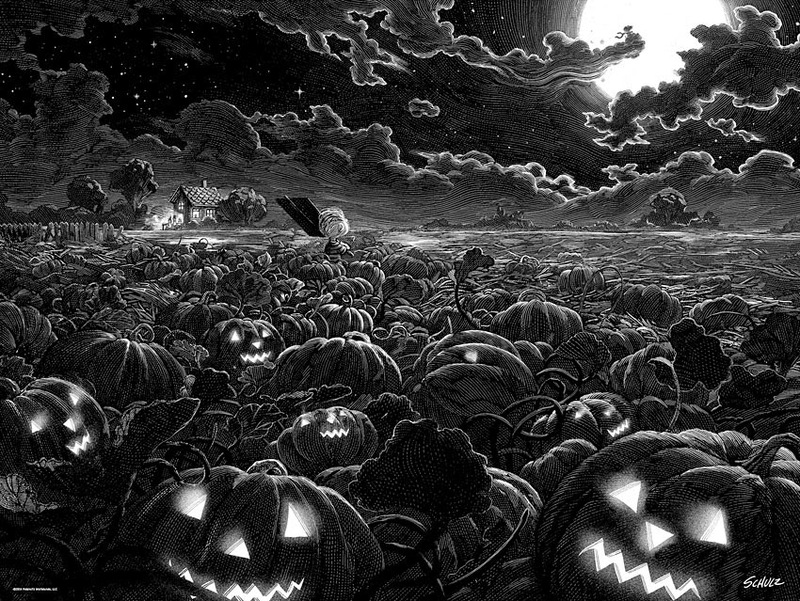 Delort's Halloween prints sold out very quickly, so you'll need to move fast if you want one of these new prints. 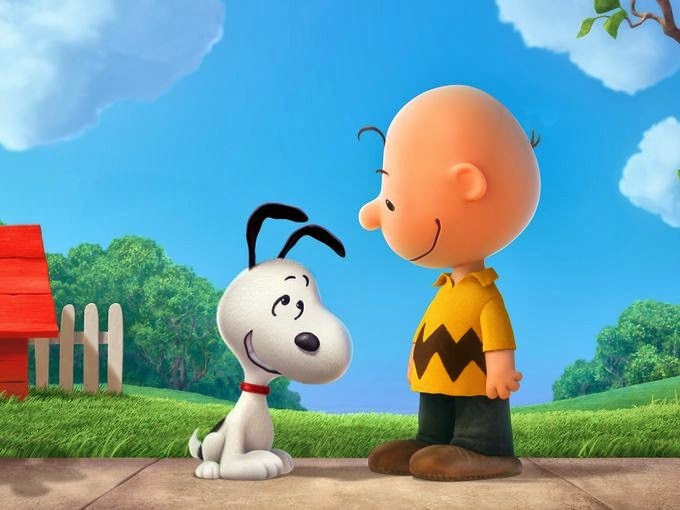 Get your toast, popcorn, and jellybeans ready - ABC will show A Charlie Brown Thanksgiving on Wednesday, November 26, 2014, from 8-9 PM (Eastern/Pacific). 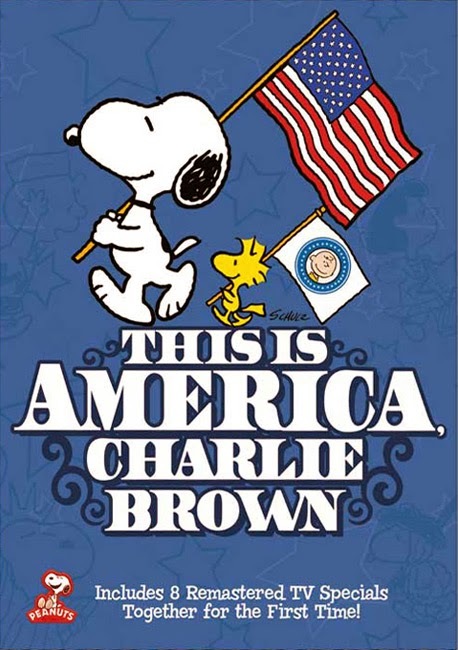 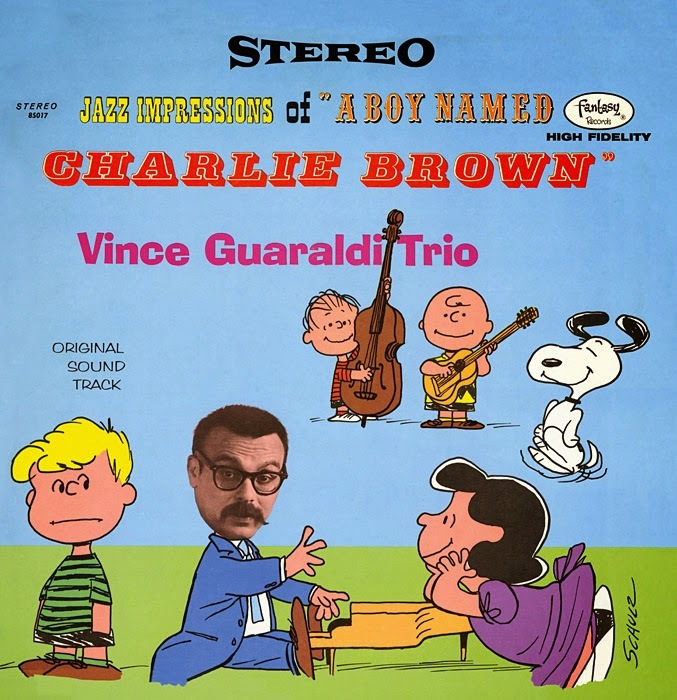 The special will air uncut together with a slightly edited version of This is America, Charlie Brown: The Mayflower Voyagers. 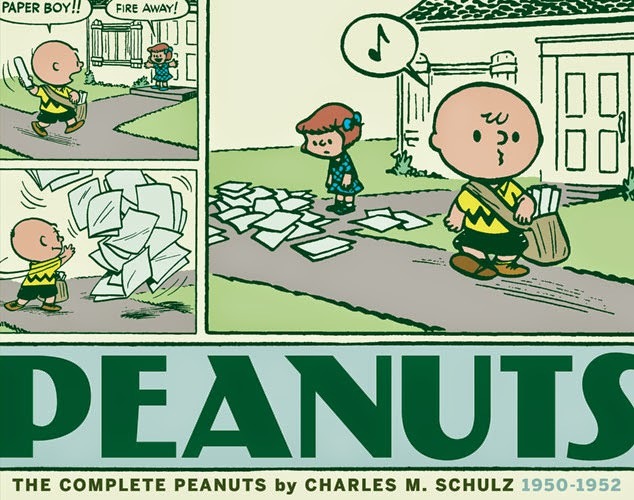 The United States Postal Service plans to issue Peanuts postage stamps sometime in 2015, according to this article from the Washington Post from a couple weeks ago. 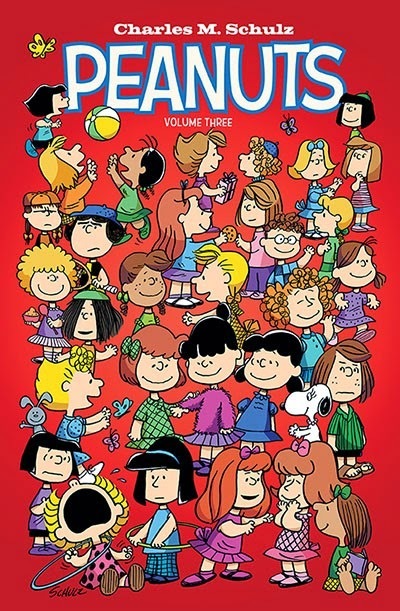 Assuming the Postal Service doesn't change its mind, this will be the second time Peanuts characters have been featured on a United States stamp. 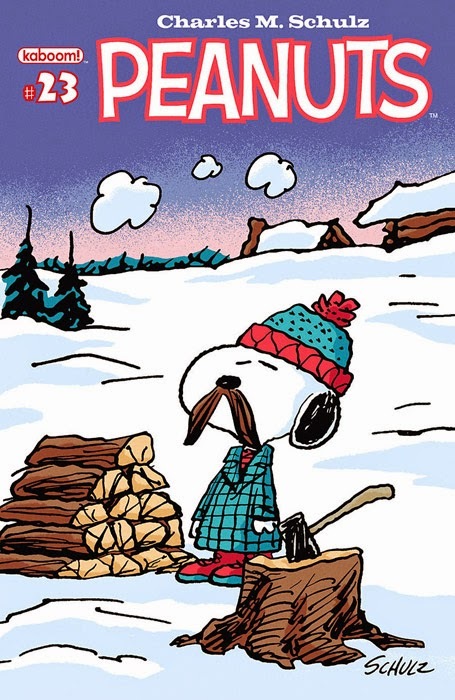 The first was a 2001 stamp (back when postage stamps were only 34 cents) featuring Snoopy as the World War I Flying Ace. 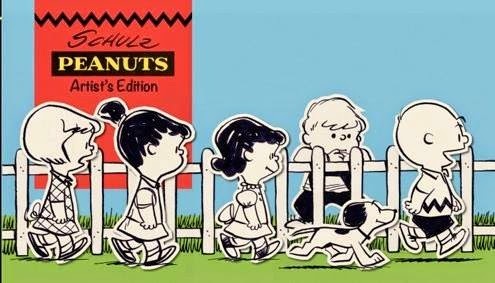 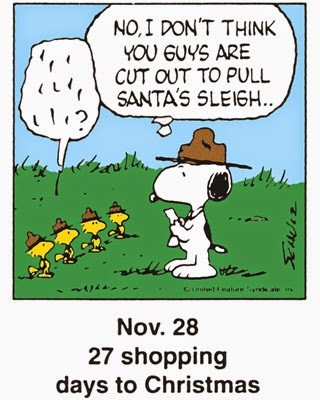 While no details have been announced yet - and probably won't be until 2015, since stamps aren't officially revealed until much closer to their release - I'd guess that this time more of the Peanuts gang will get in on the action. 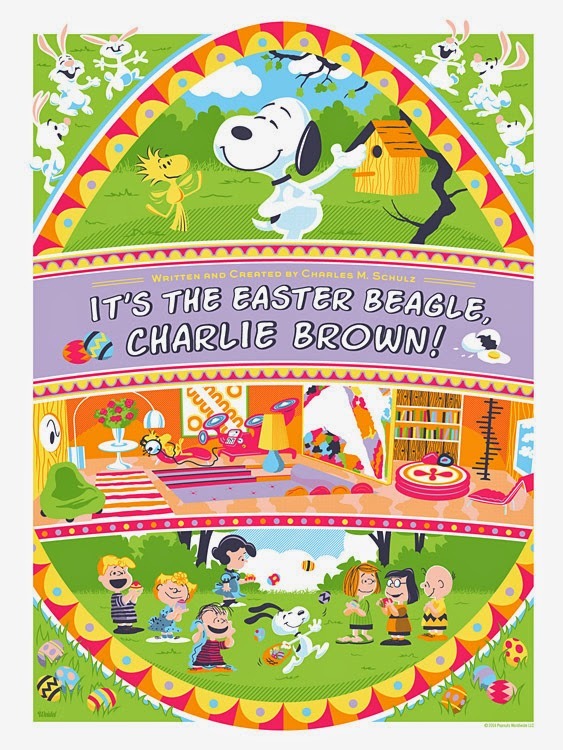 Maybe if we're lucky, it will be a sheet of stamps with several different designs on it… we'll see next year! 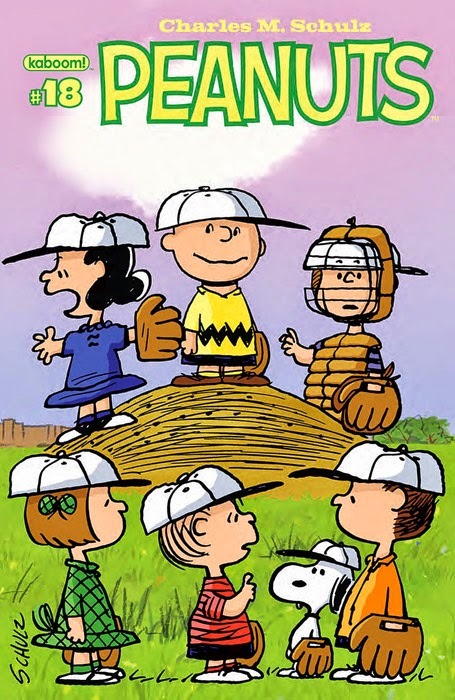 The Peanuts gang's long association with insurance company MetLife continues this Sunday, February 2, when a new television commercial titled "National Anthem with Peanuts" will air during the 2014 Superbowl pre-game show. 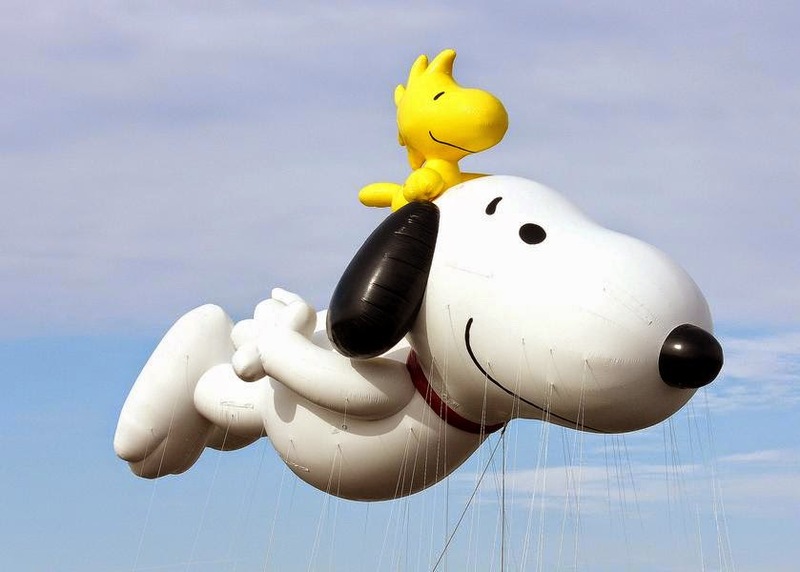 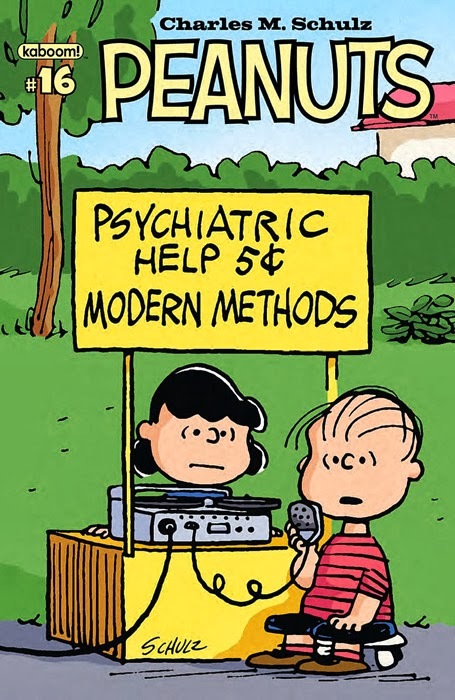 While you're there, you can check out the other YouTube videos from MetLife - quite a few feature the Peanuts characters. 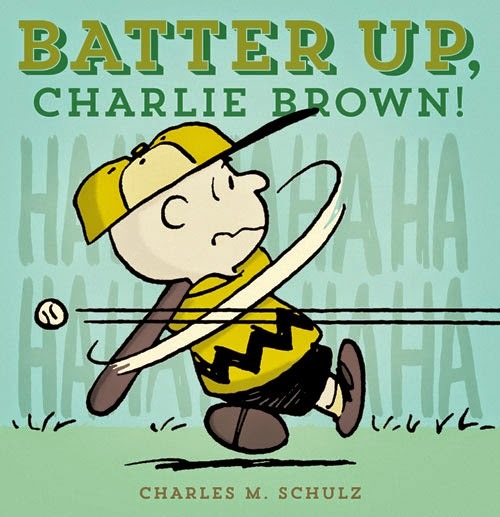 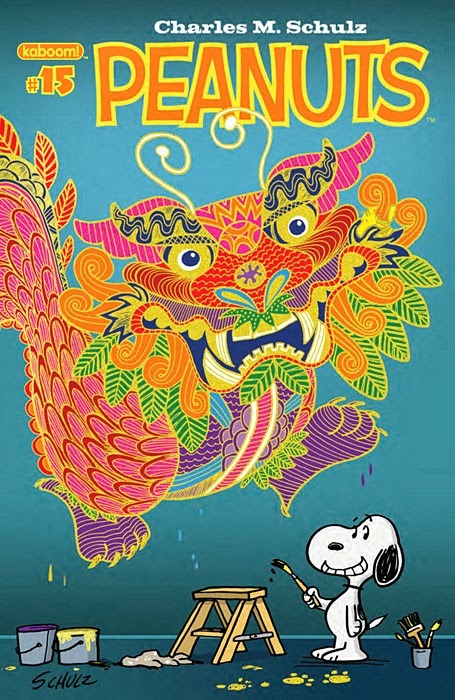 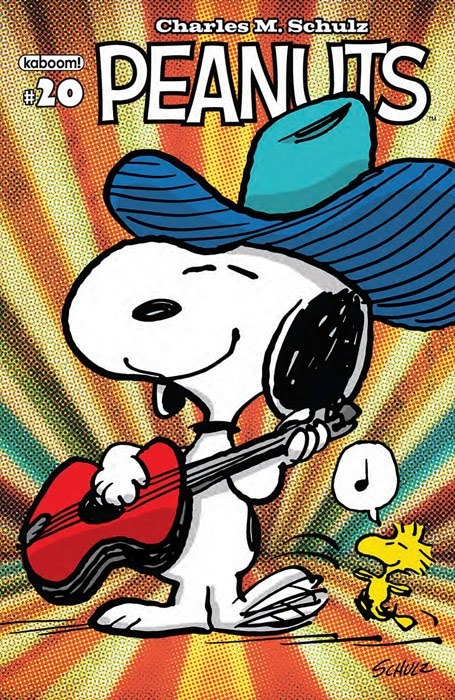 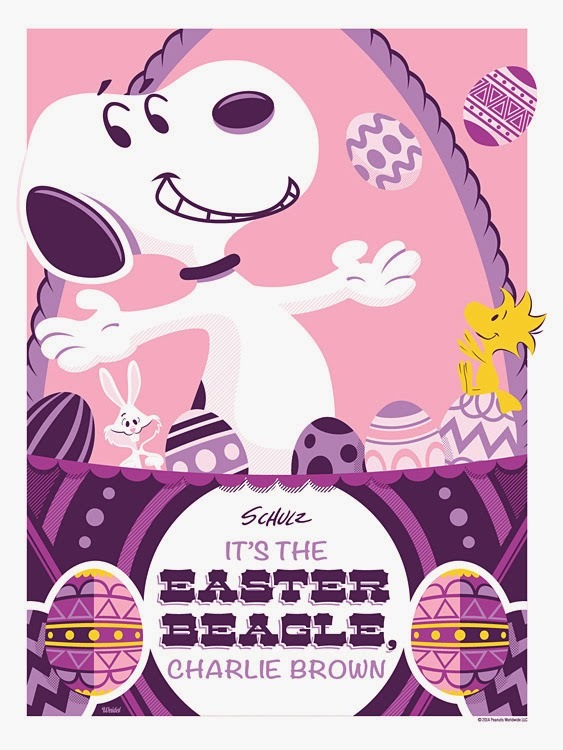 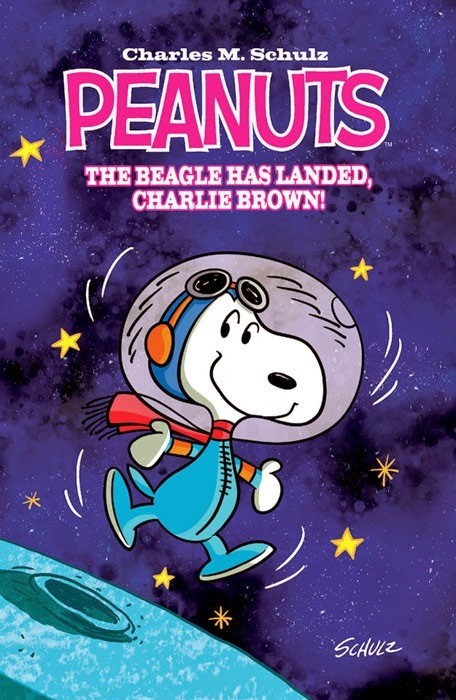 The comic book Peanuts #15 arrives Wednesday, January 22, 2014. 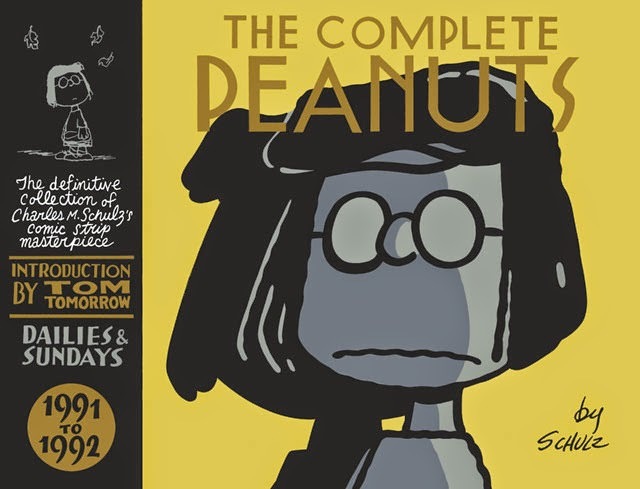 In this issue you'll find the new stories "Joe Stockcar," "The Best Defense," "Woodstock's Lonely Day," and "Press Here," along with a few classic Peanuts Sunday strips. 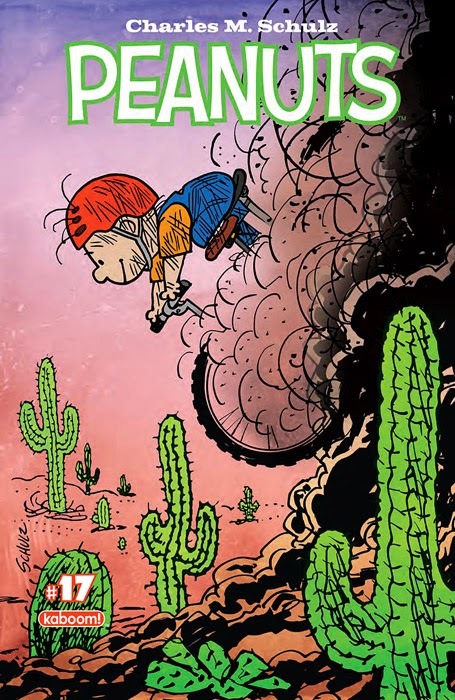 There's a five-page preview at ComicVine. 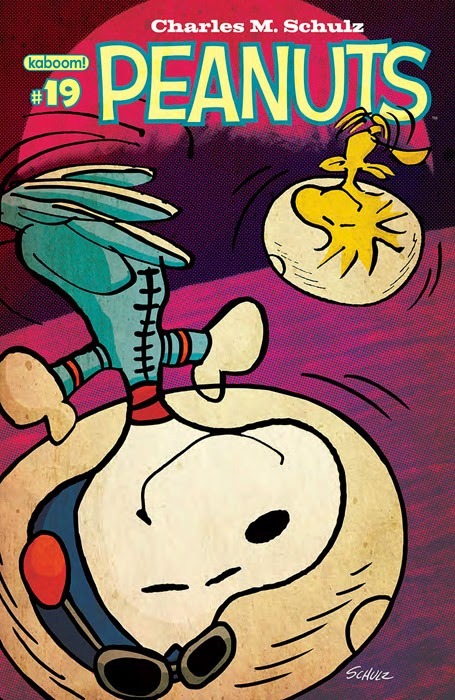 You can buy Peanuts #15 at your local comic book store, or order it directly from Boom! Studio's website.